Usually when you see a Zombie apocalypse before it happens it’s because you had a premonition and you and everyone you love are in grave danger. 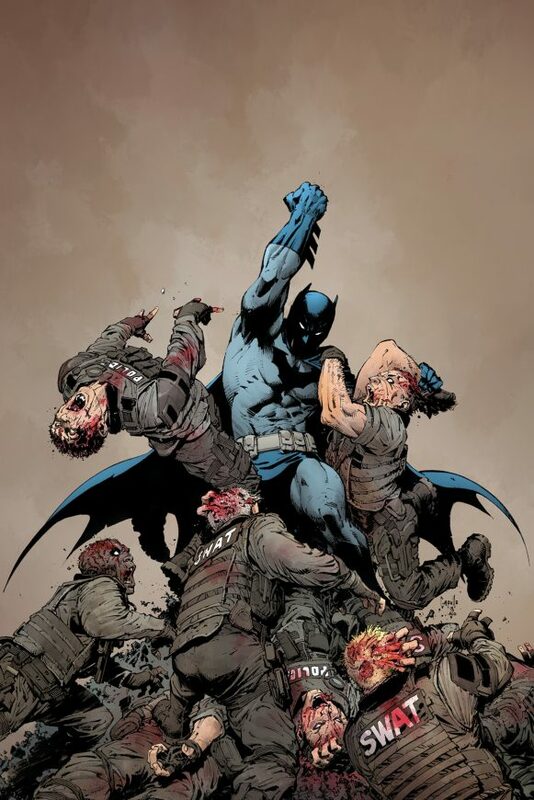 However, in this case I’ve just happened to see an early preview of DCeased #1, so try not to worry too much about my well being. From The Publisher: A mysterious techno-virus has been released on Earth, infecting 600 million people and turning them instantly into violent, monstrous engines of destruction. The heroes of the DCU are caught completely unprepared for a pandemic of this magnitude and struggle to save their loved ones first…but what happens to the World’s Greatest Heroes if the world ends? It’s thriller night in the DCU, and the Justice League might finally be biting off more than they can chew. . . literally! However, that doesn’t mean this book isn’t easy for the readers to swallow. It’s a simple enough premise and yes it’s been done by Marvel already. Yet, that doesn’t mean it’s not fun to see zombie versions of your favourite DC characters. Plus the origin of the virus and how it spreads (if not 100% unique) is an inspired take on the all too familiar. Protect Ya Neck . . . And Arms . . . Etc. Tom Taylor (Injustice) has experience writing non-continuity stories with multiple characters, so he’s definitely in his element. This issue starts with the origin of the virus and the initial spreading. As I said above it’s a neat take on the “zombie virus” trope and should be able to keep one’s interest. Writing a fresh zombie story is always a challenge. When it comes to the zombie genre there isn’t much we haven’t seen. However, Taylor has injected witty dialogue and imaginative scenarios that make this book far less mindless than the monsters that inhabit it. The interior art brought to us by the team of Trevor Hairsine (Legends Of The Dark Knight), Stefano Guadiano (Walking Dead), James Harren (Rumble), and colourist Rain Beredo (Champions) is exactly what you want from a zombie book. It exudes a dark gloomy atmosphere and gives us detailed panels flecked with gore and violence. However, the most exciting part of this series is the awesome selection of variants which are sure to appeal to both zombie and horror fans alike. See below for a gallery of the alternative covers for issues 1 – 3. *If you’re interested in the series don’t forget to add it to your pull list. By day I work in a warehouse, by night I sleep. When I'm not doing those things, I sometimes write comics like The Streaker and B-Movie Garbage. Nothing you've heard of though, so don't get too excited. Free Comic Book Day Specials!